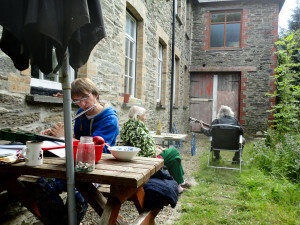 A Gathering takes place at Melin Dolwion on 1st and 3rd Monday of every month from 7pm. The ‘Grand Gathering’ takes place from the first Monday in September for a week. ‘The Gathering is a space, place and time where we can build up confidence in our creativity; where we can sit in silence, sing, play an instrument, draw, be poetic; prophetic; we could talk in tongues, talk to each other, to ourselves, talk to voices. We can listen, make sounds; melodies and noise, soft and loud; leave space, fill it up; explore rhythm and time, chaos and rhyme; lullabies and laments; shyly and boldly be in our different rhythms together. 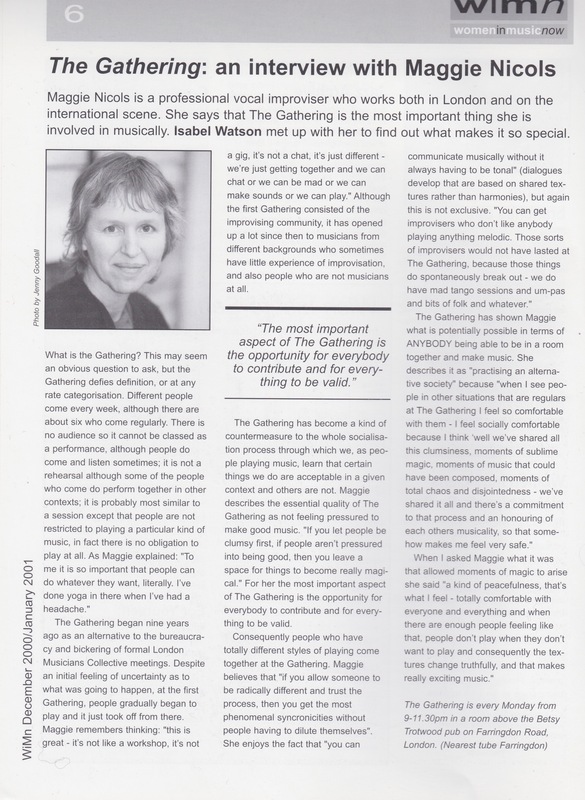 The Gathering began in 1989 at a meeting of the London Musicians’ Collective, a few of us felt that it would be good to come together in a way that was less stressful than some of our meetings – a Gathering. It started with improvising musicians but quickly expanded to include anyone who wanted to explore and experiment in a welcoming environment. It’s a place where experienced musicians use their skills to encourage rather than exclude others. 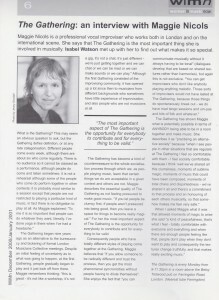 We are currently gathering together the gathering’s archives, details of which will be posted on this site in due course. New content will be flagged up on the blog.